While Microsoft does not plan to release a second service pack for Windows 7, that doesn't mean that it will stop updating its older, and currently most used , PC operating system. This week, Microsoft released a new Windows 7 update that should be very helpful for PC owners who want to free up some disc space on their hard drive. In a post on Microsoft's Server and Tools blog , the company talks about the update along with the Windows 7 problem that it is designed to help out with.Basically, Windows 7 has a WinSxS directory that can get filled up with Windows Update files. 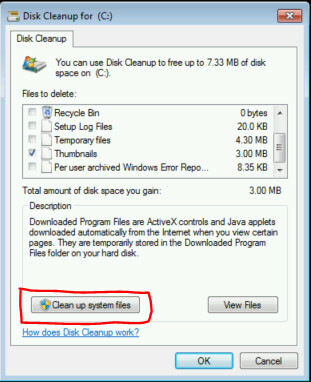 Microsoft designed Windows 7 so that when a new service pack is released, the user has an option to clean up all those old Windows Update files that are no longer needed in that directory. The problem, of course, is that Microsoft has only released one service pack for Windows 7 since it launched in 2009 and has no plans to release any others.That means the WinSxS directory has been getting stuffed with Windows Update files for over two years, including many that were released earlier this week . So on Tuesday, instead of a full service pack, Microsoft released an update to its Disk Cleanup wizard for Windows 7 SP1 that will allow users to get rid of those old Windows Update files in the WinSxS directory. While it is available to download via Windows Update, it is labeled as "Important" and not "Critical".That means some users may have to change the Windows Update settings to get the new Disk Cleanup version or they can manually download the patch from Microsoft .